Take pictures of your property before the move to prevent disputes about damaged items. Imagine the movers have just left and you’re unpacking your belongings when you notice a huge scrape on the side of your bed frame. Or maybe your brand new computer monitor and the other items you packed with it are no where to be found. You file a claim with the moving company but they ignore you or even worse, deny any wrongdoing. What do you do at this point? Well first off, any legitimate mover should inventory your property before the move to make sure nothing is lost. If an item ends up missing, there will be no question about its existence since it was inventoried before the move. To prevent disputes regarding potential damaged property, take photos of everything. 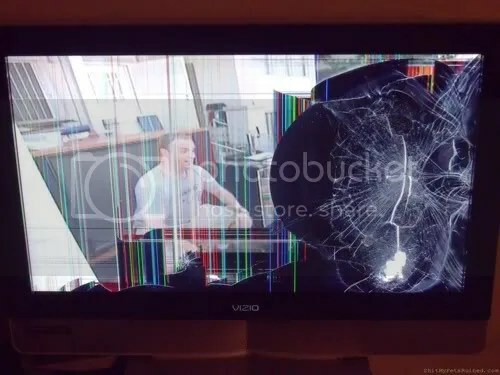 Again, there will be no question about the source of the damage if you can prove that the item was undamaged before the move. Professional movers go to great lengths to make sure all your belongings arrive safely and securely, so hopefully you’ll never have to file a claim. But preventive measures such as taking pictures never hurt and only protect you when certain situations occur. Here is a useful video from Uhaul on how to pack your dishes for your next move. Here are a few tips for creating a moving plan from our Moving Connections team! Having a moving plan in place will help you manage your time more efficiently and will minimize those last minute surprises. 1. Start early – Almost everyone has more stuff than they think they do, and almost no one leaves enough time to pack it. 2. Room Lists – Start by forming two room lists, one for your current place and one for your future place. This will help you manage what has to go where. 3. Room Inventory – Go to each room and write down the types of things that need to be packed: furniture items, length of shelving, closets, etc. 4. Time Allotment – Make sure to leave enough time. The most common timeframe reported by people moving is that it takes a month to pack. One study reported that it takes 4-5 hours to pack an average dorm room, so that should give you an idea of what’s involved. 5. Calendar – Pull out a calendar and plan by day when each room will be completed. 6. Delegation – If you’re moving with family members, agree with them exactly which tasks they will be doing and the date they will be finished. 7. Track your progress – at least once per week track where you are against the date on the calendar. Revise your plan if you’re falling behind. Welcome To The Moving Connections Blog! We created this blog with one goal in mind: To help you make informed decisions about your moving needs by providing valuable information and useful tools. We’ll constantly be updating this blog with informative videos and articles so make sure to subscribe! If you have any questions or want to learn how Moving Connections can help you, please visit us at http://www.movingconnections.com or call (801) 532-6683.